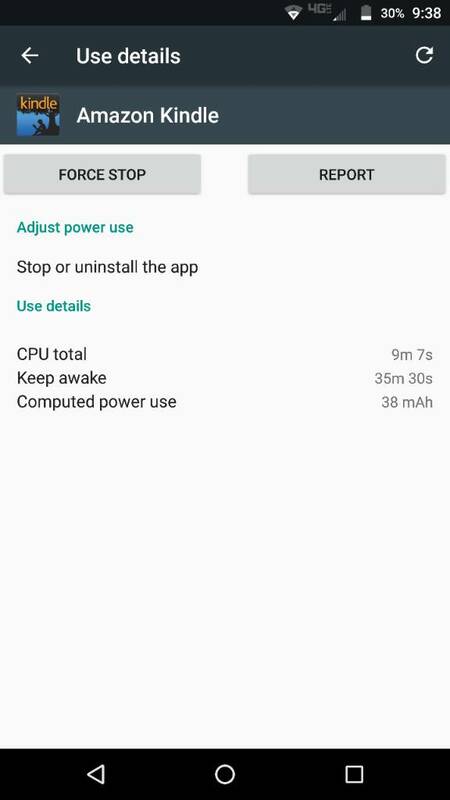 Even when I'm not using (and haven't used for some time, the battery usage shows CPU usage and unusually high "Keep awake" minutes. 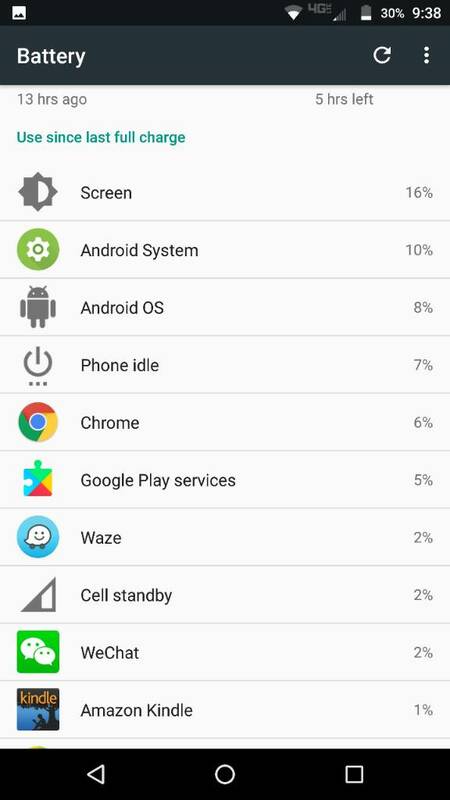 I've tried restarting the Z, but even then the app shows up in the battery usage with abnormally high keep Awake minutes...Certainly for an app I haven't opened. Install GSam Battery Monitor. Open it and let it run. There's an icon on the bottom of the main screen that looks like a vacuum. Its called app sucker. Tap that and it will show you what apps are using the battery. Let it run all day. Then open the app and take screen shots of the main screen and the app sucker screen. Post them here and someone will help. Without knowing what apps you have its hard to tell. If you want to restrict it from running in the background (or any app) here's the path to the setting. Settings>apps>amazon kindle>2nd down is data. Open that and restrict it from accessing background data. You can do this for almost any app. It helps my battery life a lot. Thanks! I'll try that. Does that limit the functionality? I.e. if I "am" using the Kindle app, will it still sync my book reading place or would I need to turn this switch back on? I don't use the kindle app so I can't say. But every app I do this with hasn't shown any issues. I've never had to turn it back on. For that matter I do this with almost all apps. It just saves battery and data. Apps still access data when connected to wifi. It only restricts them from accessing data on 4g when the app isn't being used. The nice thing is if it causes you any issues just go in and reconnect the access. In fact go in sometime and look at some apps and you will be surprised how many apps have access to background data. I've always shut it down and never had any issues. I hope this helps. If not ask away......Glad to help! That's great info. Actually I do simetimes use the app (reading a book) while off wifi. But it should be easy enough to verify if the sync or other functionality is working...I'll test it out. Also interesting about the other apps. I'll check them out as you suggested. Thanks again for all the feedback! You can also read through the forum in the stickies. There's one there labeled apps safe to disable. I've learned a lot in that discussion. I have GO SMS PRO and cannot figure out how to get to the settings for this app.